Richard Cameron was appointed to the Board of The Lost Dogs Home in October 2018. Richard is the Principal of Cameron Consulting Group Pty Ltd, specialising in the provision of management advice to the financial services and professional services sectors. 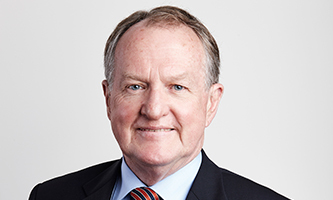 Richard has over 40 years’ experience in the financial services sector, including 17 years as a Credit Union Chief Executive and as a Director and Chairman of companies in the information technology, superannuation and disability sectors. Richard holds qualifications in business including a Master of Business Administration and is a Fellow of the Financial Services Institute of Australasia.